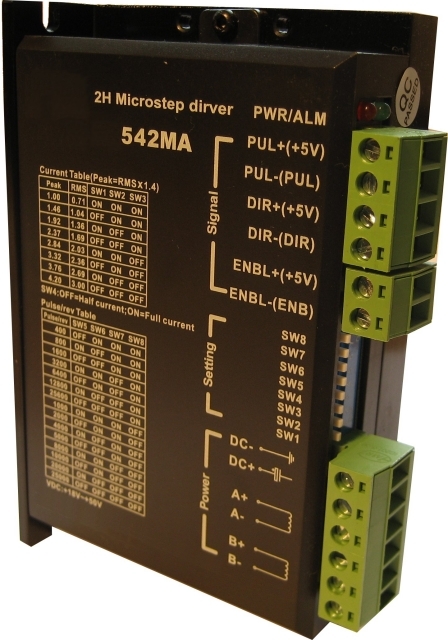 The M542 is a highly efficient and powerful amplifier for operation of hybrid stepper motors. 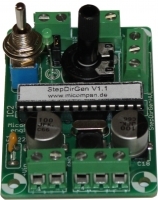 In the past, stepper motors were driven in so-called full- or half-step mode. However, the full-step mode has a very low smoothness, since the motor shaft engages respectively in defined steps. If the motor with a sinusoidal current supplied (microstepping), the smoothness increased considerably and the engine behaves like a servomotor.